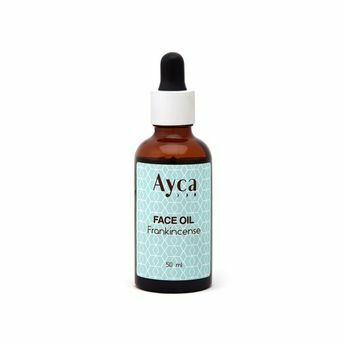 Ayca Frankincense Face Oil is a light rejuvenating oil made from a precious blend of oils including Frankincense known for its healing and anti aging properties. It helps reduce fine lines, pigmentation and scars leaving the skin looking renewed and radiant. Suitable for all skin types. Essential Oil of Frankincense, Jojoba Oil, Grapeseed Oil & Vitamin E.